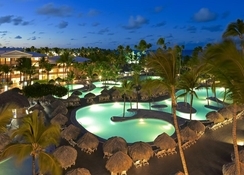 Iberostar Dominicana is a five-star 'all-inclusive' resort which offers a host of services, facilities and activities for guests to spend unforgettable holidays in the Caribbean. 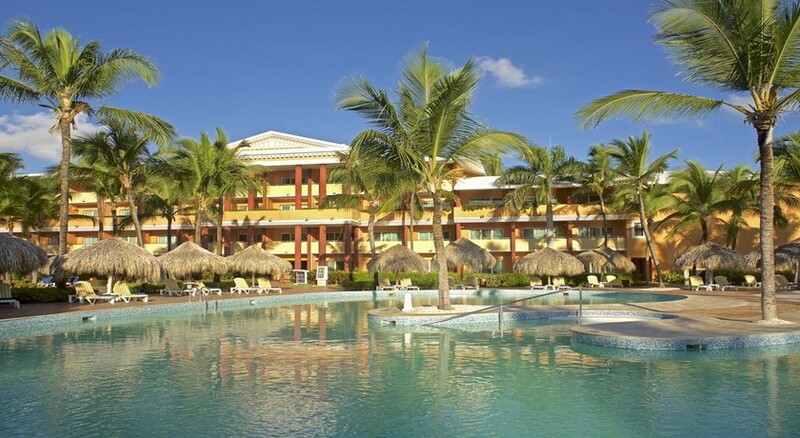 Situated in beautiful Playa de Bavaro, the hotel offers 506 guestrooms, a large shopping area, several restaurants and a large entertainment program for all ages. This complex is perfect for a family holiday or a couple: there is a children's club, disco, a golf course, diving activities, spa, casino, gym and much more. Those who want to celebrate a dream wedding, can do so on the beach as the resort has a private beach area and often caters to such requests. Foodies will love this resort too as the five restaurants serve up a variety of cuisines from around the world. The setting is idyllic, with beaches of fine white sand, clear water and palm trees. 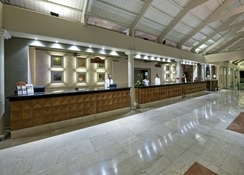 The 490 guestrooms offered by this five-star resort are categorised as Standard Ocean View, Family Room, Double Family, Standard Room, Double Garden View, Double Panoramic View, Double Pool View, Junior Suite, Spa Junior Suite, Superior Junior Suite, Double Star Prestige and Junior Suite Star Prestige. All guestrooms feature a flat screen TV, minibar, balcony or terrace, king or double beds, digital safe, alarm clock radio, telephone, coffee maker, and iron with ironing board. The bathroom contains a vanity sink, shower and bathtub combo, and a hairdryer. 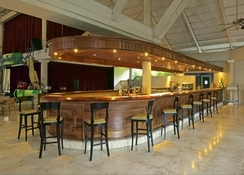 Regarding gastronomy, the hotel features five à la carte restaurants, a restaurant-bar and two buffets serving a variety of local and international dishes, which meet the expectations of the guests from all over the world. 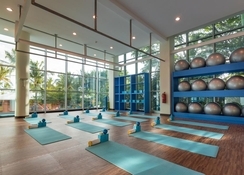 Within the complex of Iberostar Dominicana all services are offered: pharmacies, ATMs, shops, nightclubs, a casino, an 18-hole golf course as well as supermarkets. 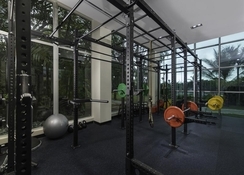 All this to ensure a comfortable and easy stay. The leisure and sports side is covered with quality and variety, as there are discos, clubs for children and teenagers, a varied program of musical activities and shows, a professional diving and snorkelling centre and a tennis court. In the spa area, the client can also relax with the multiple beauty treatments and massages performed by experts.